For your own sake, don’t log off. In the last two years, we have seen a big social push to disconnect from media, our phones, the internet, as people have started to believe it is digital connectivity that is making us more stressed, anxious and depressed. But is that really the case? Bridianne O’Dea is a mental health researcher at the Black Dog Institute, UNSW. She is currently investigating the ways in which our “digital footprints” can be used to improve our mental health. 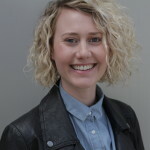 After completing her Phd in 2013 on social networking sites and emotional wellbeing, Bridi became interested in decipher-ing what our online activities say about our mental state and whether this infor-mation can be used to deliver care.